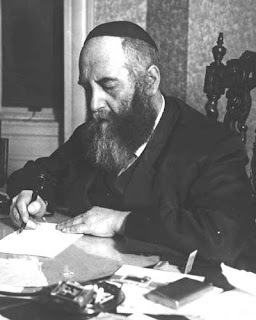 In the year 5683 (1923) Reb Simcha Gorodetzky travelled to raise funds for Tomchei Temimim. While he was staying in Charkov, two Chassidim asked him to convey a message to the Frierdiker Rebbe. 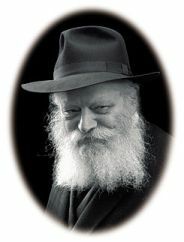 The first Chossid asked him to inform the Frierdiker Rebbe that he was unable to perform a particular mission that he had been assigned because his son had tragically passed away, lo aleinu. The second Chossid asked him to convey that he had become entangled in his business dealings, and requested a blessing. When Reb Simcha returned from his journey, he entered Yechidus and amongst other things conveyed the words of these two Chassidim. This made a tremendous influence on the Frierdiker Rebbe. His heart was broken and he began to weep profusely. They had only observed such weeping at the time of blowing the Shofar. Shemu’os V’Sipurim, Vol. 3, p. 218. Explanation: Why did the Frierdiker Rebbe feel the pain of the Chassidim more than the Chassidim themselves? The answer appears simple: The Rebbe is the head (see here and here), and the head feels the pain of the body more than the body itself (see here).